Amid the mighty skyscrapers, spectacular architectural buildings, and gigantic shopping malls, lies the local Emirati culture that is vying for attention from tourists and visitors. Uncover the authentic Emirati soul beneath the glitz and glamor of Dubai. The Dubai Transit Visa can be obtained from the airport. A transit visa will be one of the essential documents you will require for entering this beautiful Emirate. You can even apply for the U.A.E. Transit Visa online. Well if you have only 48 hours to uncover the hidden jewels of the city, then this article will help you get a deeper insight about the various indulgences that you can try during your short visit to Dubai. Ask your local tour operator for a free 48 hours transit visa for Dubai. 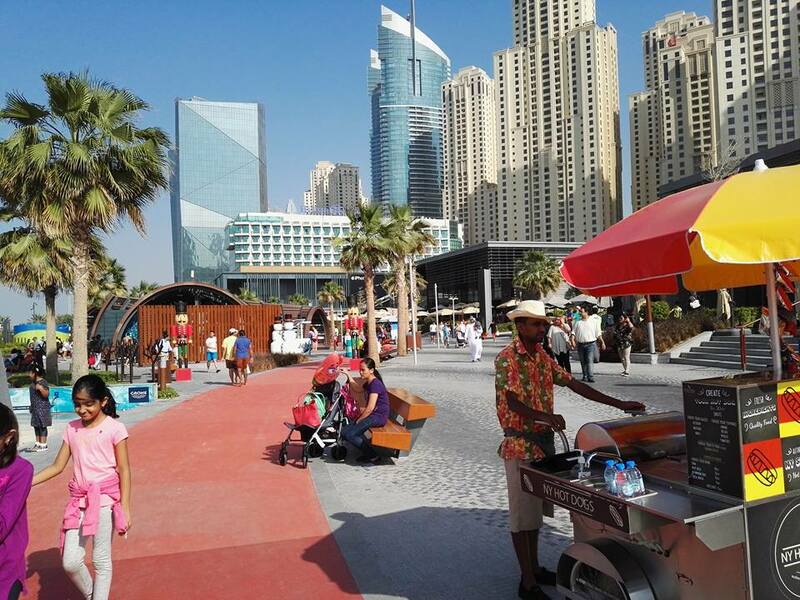 The morning should start with a lazy stroll along the JBR Walk. A place oozing with opulence and elegance from all corners. You can opt for a scrumptious breakfast at the full range of buffet hotels along the JBR beach. For the egg lovers, head straight to the Eggspectation, a gluten-free and dairy-free diet station that will tantalize your taste bud requirements with every bite. Post the delicious breakfast, you can enjoy some sun tanning as you enjoy the warmth of the sun. If you are one of the water babies, head for a swim. The Dubai Aqua Park – the biggest inflatable water in the world is a pure treat for all the water babies. Do look for the Marina, placed in the neighborhood of the JBR. The Dubai Marina houses 14 of the 20 tallest residential towers in the world. Some of the notable ones include the Torch, Cayan Tower, Princess Tower, Elite Residence, Marina 101, and 23 Marina. The JBR is the definitely the first place you should visit once you get your free 48 hours transit visa for Dubai. 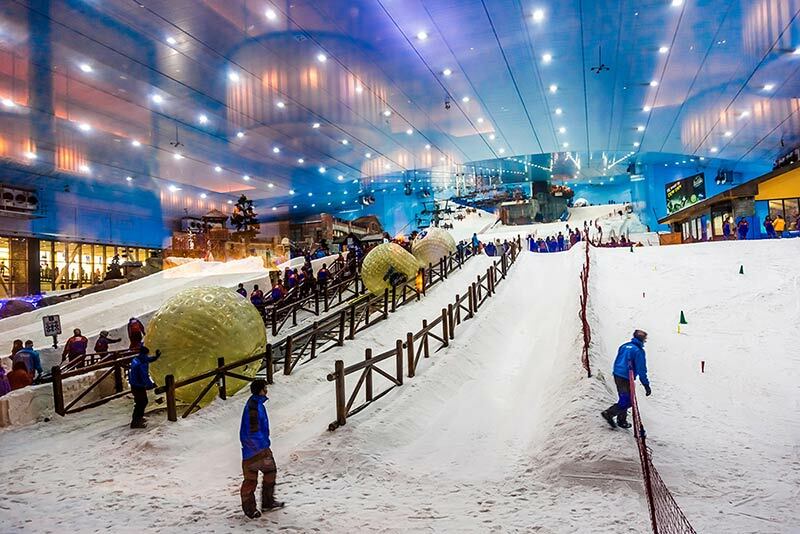 Spend the hot scorching noon either skiing or snowboarding in Ski Dubai, a ski resort in the Mall of the Emirates. You can alternatively head to the freefall water slide Jumeirah Sceirah at the Wild Wadi Water Park placed on the JBR. If you are not much into adventurous activities, head to the Dubai Miracle Garden or the Dubailand area for a relaxing afternoon. Do look out for the butterfly sanctuary before you leave this place. Grab a quick bite at one of the cafes in the neighborhood. Don’t fill your stomach, else it will be difficult for you to move around. Even if are much into shopping, you will not be able to resist the incredible variety available at your disposal. If you do not want to purchase anything or do not have a budget for the same, you can always indulge in some window shopping. Browse through the beautiful collection of apparels, accessories, shoes, jewelry, and much more. Enjoy a delightful meal in Downtown Dubai. The Arabian Souk al Bahar is a great destination to enjoy a marvelous dinner with scintillating views of the mighty Burj Khalifa and the gorgeous dancing Dubai Fountains. There are close to 22 dining destinations to choose from. Some of the must-visit destinations include the Karma Kafe, The Palace Hotel, Thiptara, etc. 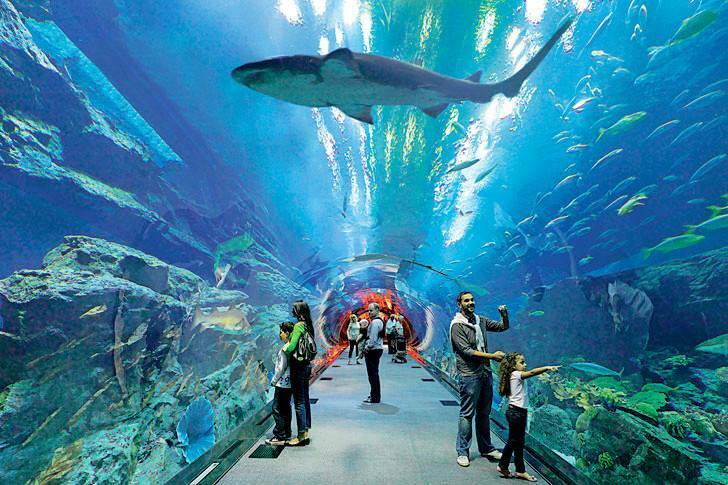 You can head for a casual walk to check out the Underwater Zoo & the Dubai Aquarium. Gaze upon the 140 species of fishes with over 300+ sharks and stingrays. 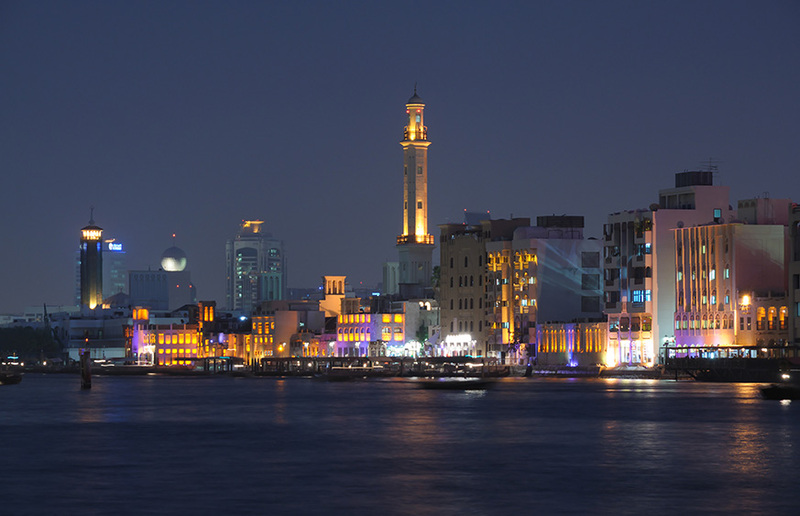 Old Dubai is something that you cannot miss out during your short trip to Dubai. There are a charm and elegance that you can associate with this part of Dubai since it is entirely different from the glitzy and glamorous Dubai. An authentic cultural experience is on display. 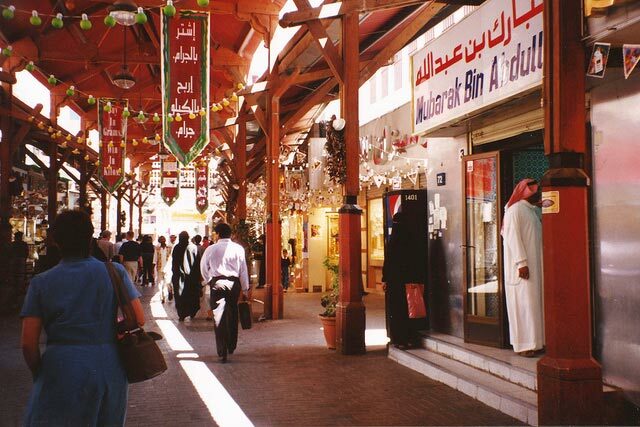 Browse through the traditional markets in Deira known as souks. The souks give you access to a captivating collection of spices, jewelry, souvenirs, textiles, perfumes, carpets, and much more. What more, bargaining is a norm here, so be sure you polish your negotiation skills before landing here. 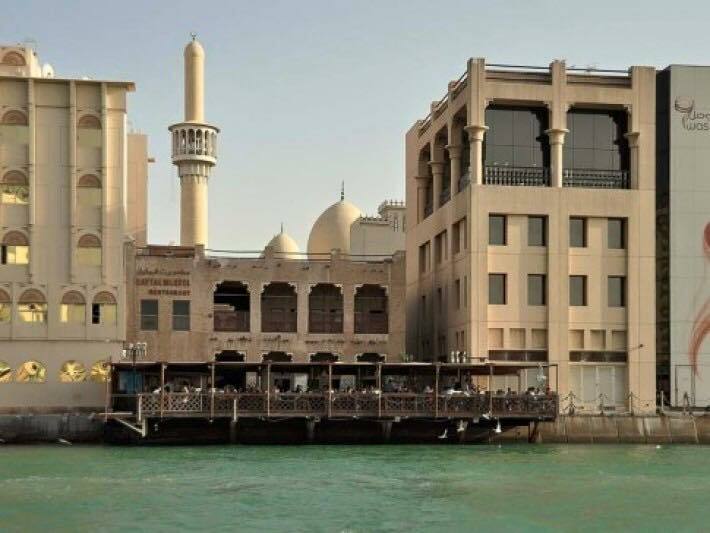 Do hop on to an Abra boat to head to Bur Dubai from the Creek. This area is home to iconic museums and several historical monuments. Do grab a traditional snack during your journey. Do explore the al Shingadha area that houses the Dubai Heritage and Diving Villages. It has also served as the official residence of the grandfather of Dubai’s ruler, Sheikh Saeed Al Makhtoum from 1912 to 1958. Try a traditional Emirati lunch at the Bayt Al Wakeel. Grilled lamb and quail with a seafood salad is the refreshing signature dish served here. Being one of the oldest buildings in the U.A.E., this building houses a museum as well that can be explored post a delightful meal. Don’t forget to explore the Al Bastakiya Quarter that features contemporary art galleries, traditional wind towers, and winding alleys. The Desert Safaris is a beautiful way to explore the heart of the great Arabic desert. Enjoy a wide range of adventurous activities like dune bashing, quad biking, shisha, belly dancers, camel riding, and finally a scrumptious Emirati dinner under the moonlit sky. Opt for a package that will bring you back to the city by night. 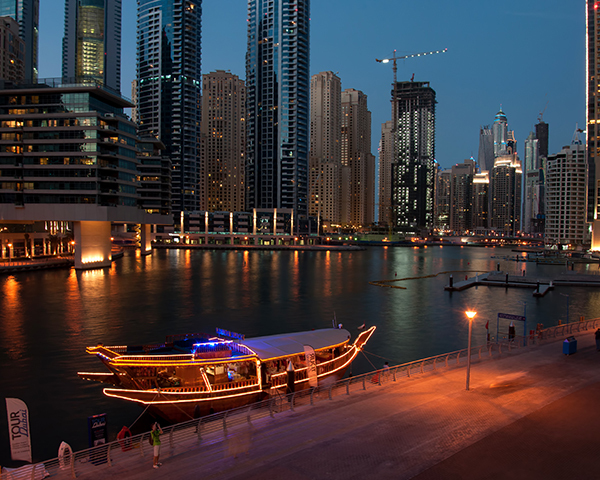 A dhow cruise is a must visit experience if you are visiting Dubai. This intimate experience browses through the shores of Dubai and gives you a glimpse of the glamorous face of Dubai. There are plenty of entertainment activities for the guests during the cruise. Dubai is a beautiful emirate that can’t be explored in just 48 hours. Although obtaining the free 48 hours transit visa for Dubai is comparatively easy, it is difficult to uncover the hidden jewels of Dubai in such duration. There is so much to explore that you would be at times spoilt for choices.